I love reading and I though I’d share a few novels with you that have translators or interpreters as characters. Some I’ve already read, and some I’m looking forward to reading soon. I haven’t had the chance to read any of these books yet. Let me know your opinion if you have! Mensonges by Valérie Zenatti. Published May 2011. 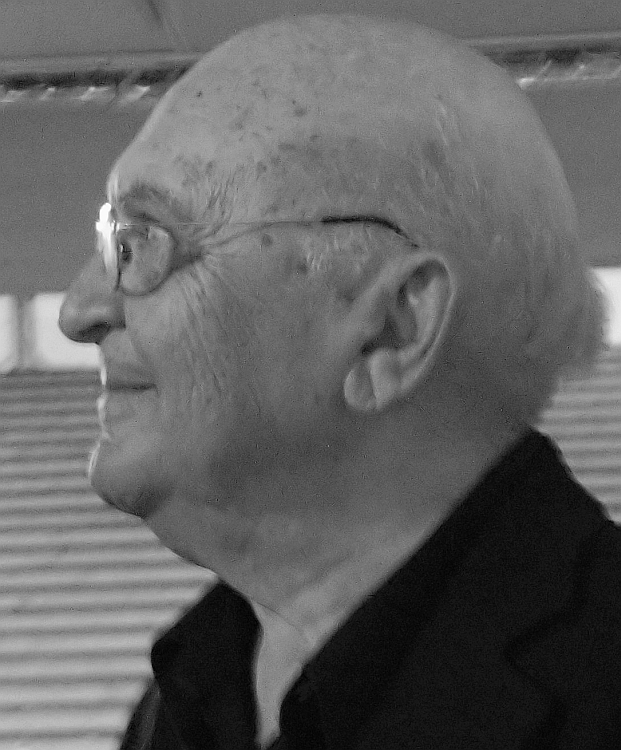 The translator of Aharon Appelfeld pretends to be him. A book where the fate of the writer and his translator are intertwined. Assommons les pauvres ! by Shumona Sinha. Published August 2011. Sinha is an interpreter who worked for the OFPRA (French office for the Protection of Refugees and Stateless Persons). This (autobiographical?) novel is about an interpreter who works with asylum seekers. You can see a video on ARTE about it here. La traduction est une histoire d’amour by Jacques Poulin. Published in 2006. Set in Quebec. Originally from Ireland, Marine is a translator working on a novel written by Jack Waterman. She ends up meeting him, they beome friends, and he finds her somewhere to live: a chalet on l’Île d’Orléans. One day they discover a black cat, and together they start looking for the cat’s owner, who might need help. Je l’aimais by Anna Gavalda was published in 2002, and has been translated into English by Catherine Evans as Someone I Loved. Two men have an affair. One leaves his wife and children, the other stays. Which one was right? Gavalda explores this dilemma from the unusual point of view of a relationship between a father-in-law and a daughter-in-law. One of the mistresses, Mathilde, was an interpreter (annoyingly called a translator throughout the book), however she remains she remains a secondary character and the story is never really explored from her point of view. La Daronne by Hannelore Cayre, a lawyer. Published in 2017. Patience Portefeux is a sworn Arabic-French translator and interpreter in Paris who starts having criminal dealings. While this prize-winning novel shines a spotlight on those who work for the French justice system it doesn’t do so in a very flattering way; while Patience’s work is undoubtedly professional, her welfare situation isn’t (this is ultimately what makes her turn to crime), and the profession is portrayed as being peopled by those who don’t pay social security contributions. For more details about this see the SFT press release (in French). Les amandes amères by Laurence Cossé, was published in September 2011. A translator and occasional interpreter, Edith, wants to teach her Moroccan home-help, Fadila, how to read and write. Edith realises how complicated and humiliating life is for somebody who is illiterate. But Fadila is not young and Edith is not trained to teach literacy. It turns out to be harder than Edith thought – what she thought Fadila had learnt is forgotten by the following week. This is a novel, but is based on the author’s real experience of trying to teach a Moroccan woman in her 60s to read and write. While the overall themes of immigration and illiteracy could have been interesting, I didn’t like the book very much as I found the multiple descriptions of teaching far too detailed and rather uninteresting. The faithful transcription of Fadila’s way of speaking is also rather difficult to read, and occasionally confusing. There are occasional references to Edith’s work, but they are few and far between. We only learn that Edith is a translator one-third of the the way through the book. The Detour by Gerbrand Bakker. Book originally in Dutch, translated by David Colmer. Winner of the 2013 Independent Foreign Fiction Prize. The novel follows Emilie, a translation professor and Emily Dickinson scholar, who retreats from her life in the Netherlands to an isolated farm house in Wales following an affair with a student. 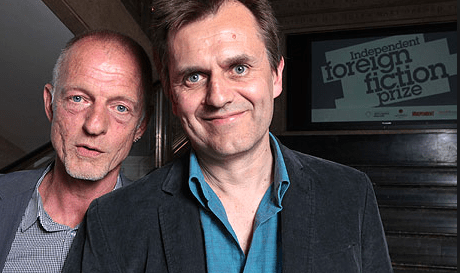 Gerbrand Bakker (left) and his translator David Colmer (right). The Missing Shade Of Blue by Jennie Erdal. Lonely Parisian-raised translator Edgar Logan arrives in Edinburgh to study the Enlightenment sage David Hume; once there his life becomes entangled with those of Harry and Carrie, a self-destructive philosopher and his artist wife. The Past by Alan Pauls. Book originally in Spanish (Argentina), translated by Nick Caistor. This is about a translator who works on movie subtitles and as a conference interpreter. His 12-year relationship with his girlfriend comes to an end and, after some time and a few important events in his life, he starts to suffer from amnesia and language issues: he ends up forgetting the languages he used to work with, which is the nightmare of all translators. In 2007 it also became a film, starring Gael García Bernal, and directed by Hector Babenco. Kornél Esti by Dezso Kosztolányi. Book originally in Hungarian, translated by Bernard Adams. In 1933, Kosztolányi released a series of short stories whose protagonist is his most famous character, Kornél Esti―sort of the author’s alter ego. Some of this stories gave shape to the “The Wondrous Voyage of Kornel Esti,” a celebrated Hungarian movie from the mid-1990s. Different editions of the book received different names, depending on the short story editors decided to highlight. In Brazil for example it became O tradutor cleptomaníaco (“The Kleptomaniac Translator”), based on the fact that the translator is stealing elements from the original text, such as jewelry, money, chandelier…. It’s a metaphor for the fact that there always seems to be something lost or “stolen” in translation―even though the vast majority of translators do not suffer from kleptomania. The Translator: A Novel by Nina Schuyler. “When renowned translator Hanne Schubert falls down a flight of stairs, she suffers from an unusual but real condition — the loss of her native language. Speaking only Japanese, a language learned later in life, she leaves for Japan. There, to Hanne’s shock, the Japanese novelist whose work she recently translated confronts her publicly for sabotaging his work. Reeling, Hanne seeks out the inspiration for the author’s novel — a tortured, chimerical actor, once a master in the art of Noh theater. Through their passionate, volatile relationship, Hanne is forced to reexamine how she has lived her life, including her estranged relationship with her daughter. In elegant and understated prose, Nina Schuyler offers a deeply moving and mesmerizing story about language, love, and the transcendence of family. The Interpreter by Suzanne Glass. At the end of a demanding day of translating speeches at an international medical conference in Manhattan, Dominique Green accidentally overhears something she is bound by her interpreter’s contract never to reveal. But she can’t forget it. The Interpreter by Suki Kim. Suzy Park is a twenty-nine-year-old Korean American interpreter for the New York City court system. Young, attractive, and achingly alone, she makes a startling and ominous discovery during one court case that forever alters her family’s history. Pinball,1973 by Haruki Murakami, translated into English by Alfred Birnbaum. This novel published in 1980 is the second book of the author’s ‘Trilogy of the Rat’ series. The plot centers on the nameless first-person narrator’s brief but intense obsession with pinball, his life as a freelance translator, and his later efforts to reunite with the old pinball machine that he used to play. Bel Canto by Ann Patchett. In an unnamed South American country a group of terrorists hold some VIPs hostage; one of the hostages, Gen, is the multilingual interpreter of the Japanese guest of honour. The book explores how the terrorists and hostages cope with living in a house together for several months. Bel Canto won the PEN/Faulkner Award, the Orange Prize in 2002, was a finalist for the National Book Critics Circle Award and was named the Book Sense Book of the Year. It sold more than a million copies in the United States and has been translated into thirty languages. I enjoyed this book, although it was rather annoying that Gen was consistently referred to as a translator and not as an interpreter. The Mission Song by John Le Carre. Interpreter Bruno Salvador is fluent in numerous African languages in London. Sent to a mysterious island in the North Sea to interpret during a secret conference between Central African warlords, Bruno thinks he is helping Britain bring peace to a bloody corner of the world. But then he hears something he should not have … . I read this in Mongolia two years ago, and while the story as a whole was interesting enough, from a professional point of view there were a number of inconsistencies concerning Bruno and his work. Conference interpreter Tiina wrote a good review covering these inconsistencies here. House on Moon Lake by Francesca Duranti. An Italian translator becomes obsessed by a German novel he is translating. I read this a while back but it didn’t leave much of an impression. The Earthquake Bird by Susanna Jones. Lucy Fly from Yorkshire is a Japanese to English technical translator who’s been living in Tokyo for ten years. She becomes the principal suspect in a murder case when her friend Lily is killed. During the novel you gradually discover how Lucy and Lily became friends, and whether or not Lucy is guilty. Talking about her work Lucy says: “[she] spent her days putting Japanese sentences into English, twisting the words so that the end went at the beginning, articles and plurals appeared, vagaries became specifics”. Lucy’s work, and the Japanese setting are merely backdrops in this mystery, but they add to the strong narrative. A good read. 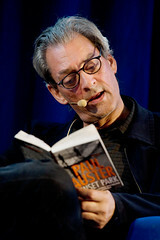 The Book of Illusions by Paul Auster. New England professor and translator David Zimmer lost his family in a plane crash and spends his waking hours in a blur of alcoholic grief and self-pity. One night his interest is piqued by a clip from a lost film by silent comedian Hector Mann, and he embarks on a journey around the world to research a book on Mann, who vanished in 1929 and has been presumed dead for sixty years. When the book is published the following year, a letter invites him to meet Hector … . Zimmer is the central character but his translation activity is not really an important part of the story. I read this book a few months ago for a book club and enjoyed it – it reconciled me with Auster as I’d read one of his books 15 years ago (The Music of Chance) and it hadn’t made me want to read any of his others. The Woman in the Fifth by Douglas Kennedy. A romantic mistake at the American college where he used to teach has cost Harry Ricks his job and marriage, and he flees to Paris where he ends up having to work as a night guard to make ends meet. He meets beautiful and mysterious Margit, a Hungarian translator, but soon their passionate and intense relationship triggers a string of inexplicable events. Margit is not all she seems to be, and Harry finds himself in a nightmare from which there is no easy escape. This is an easy and compelling read, but you might have to suspend your belief in reality. By the way, it’s much better than the film. “So what were you Ricardito? Maybe … nothing but an interpreter, somebody, as my colleague Salomón Toledano liked to define us, who is only when he isn’t, a hominid who exists when he stops being what he is so that what other people think and say can pass through him more easily”. Librarything – forum thread, books with ‘translator’ tag and books with ‘interpreter’ tag. 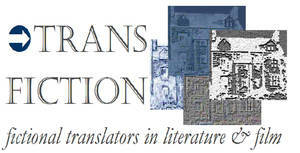 The programme of Transfiction, the first Conference on Fictional Translators in Literature and Film which took place at the Center for Translation Studies of the University of Vienna in September 2011 includes a number of relevant books.